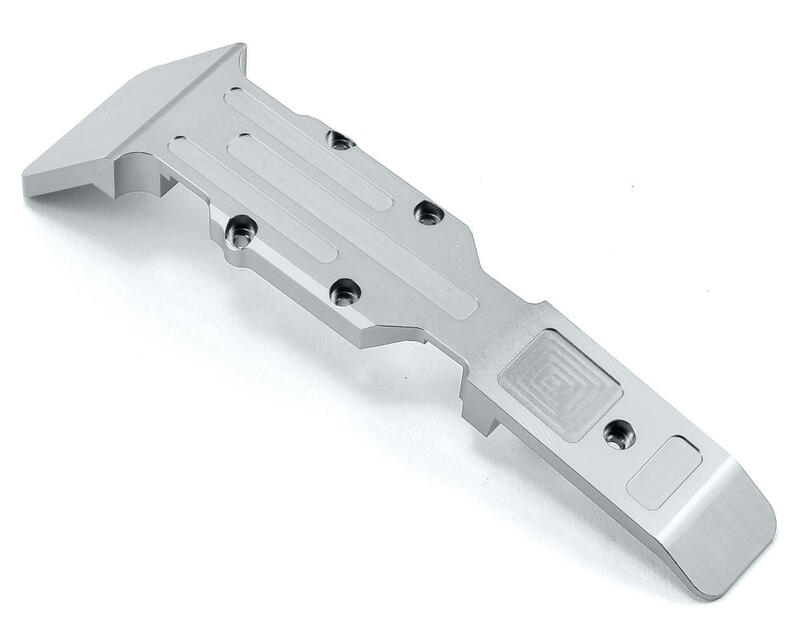 This is the optional silver ST Racing Concepts Heavy Duty Front & Middle Skid Plate for the Traxxas Revo, E-Revo, Slayer and Summit trucks. Machined from high quality aluminum, this heavy duty skid plate is ready to take on the toughest bashing and rough landings. Solid in construction and machined for weight reduction. Combine with the other ST Racing skid plates for the ultimate protection for the underside of your Traxxas truck. I bought this front + mid skid & the rear one. These are very nice skid plates. Its an upgrade over the stock nylon plates which is two pieces, this is a one piece design. Nice solid piece of aluminum which not only looks good but protects as well. 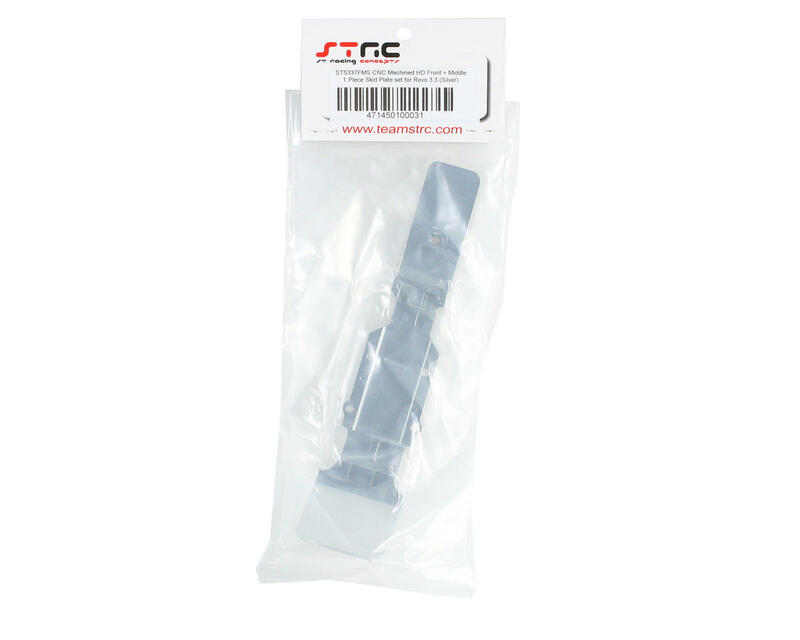 You wont go wrong buying this front+mid skid plate, plus the rear skid plate. For racing or bashing.